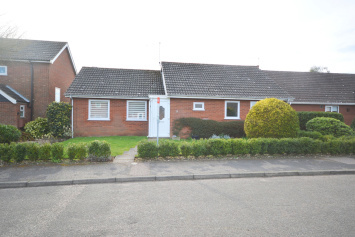 A three bedroom detached bungalow on a large corner plot situated in an enviable location in Holt. 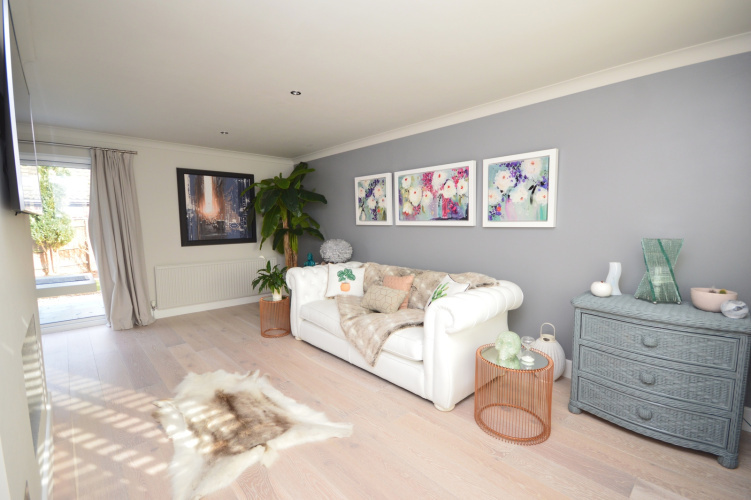 The property has been recently renovated throughout by the current owners. The spacious accommodation comprises; Entrance Hall, large 'L-Shaped' Open Plan Living/Dining Room, Kitchen, Master Bedroom with En-Suite Wet Room, two further Bedrooms and a Family Bathroom. 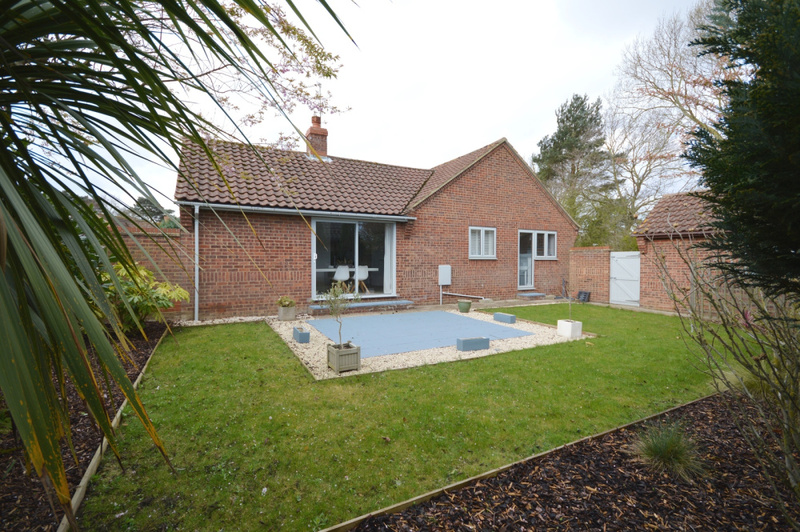 The outside of the property boasts beautifully landscaped gardens, a detached garage and ample off road parking. No onward chain. 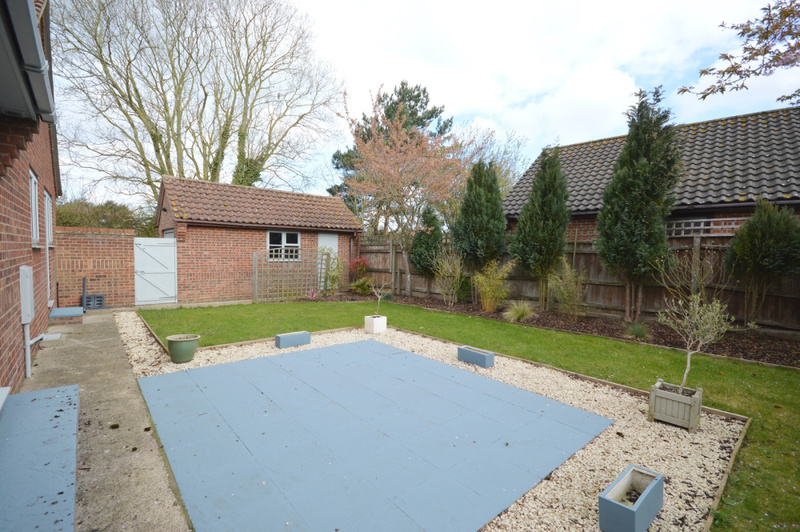 DESCRIPTION A three bedroom detached bungalow on a large corner plot situated in an enviable location in Holt. 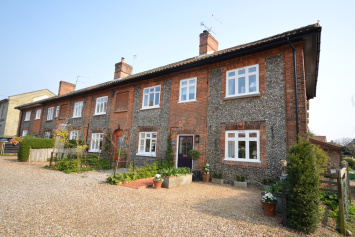 The property has been recently renovated throughout to a very high standard by the current owners. 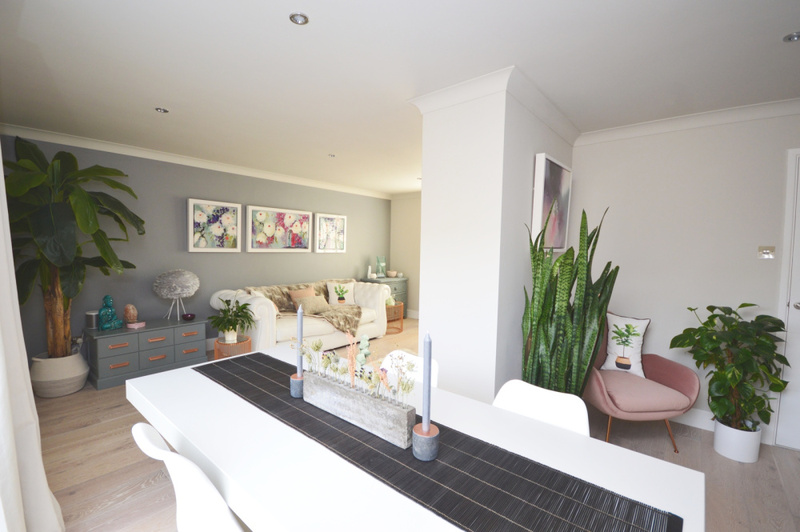 The spacious accommodation comprises; Entrance Hall, large 'L-Shaped' Open Plan Living/Dining Room, Kitchen, Master Bedroom with En-Suite Wet Room, two further Bedrooms and a Family Bathroom. The outside of the property boasts beautifully landscaped gardens, a detached garage and ample off road parking. LOCATION Holt is a beautiful Georgian country town with an attractive range of shops, cafes and restaurants. Gresham's public school is situated within Holt and was originally founded in 1515; it has long been an important local centre for education. The cathedral city of Norwich is just twenty-six miles away. From Norwich there are direct trains to London Liverpool Street. Norwich Airport is a convenient worldwide gateway via Schiphol Airport. DIRECTIONS Leave the agents Holt office and turn left following the Cromer Road out of town. Turn left on to the Kelling Road and proceed along this road, turning left on to Woodfield Road. The property can be found after a short distance on the right hand side. 16 WOODFIELD ROAD SPECIFICATION •Detached bungalow situated on a corner plot in an enviable location in Holt. 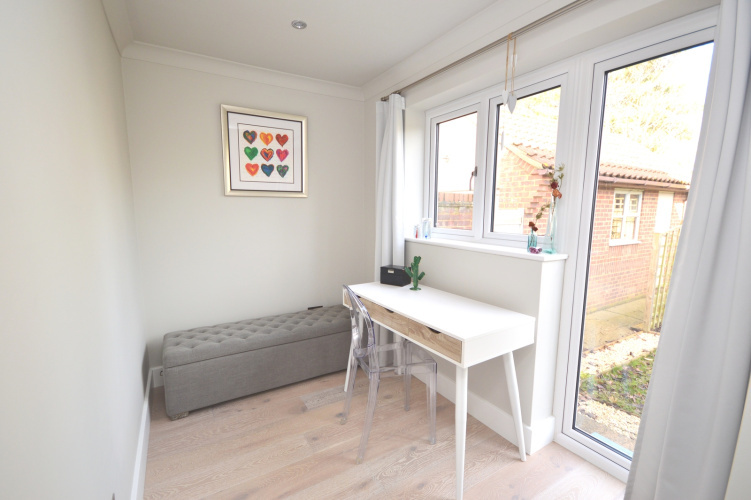 •Fully renovated and modernised throughout to a very high standard. 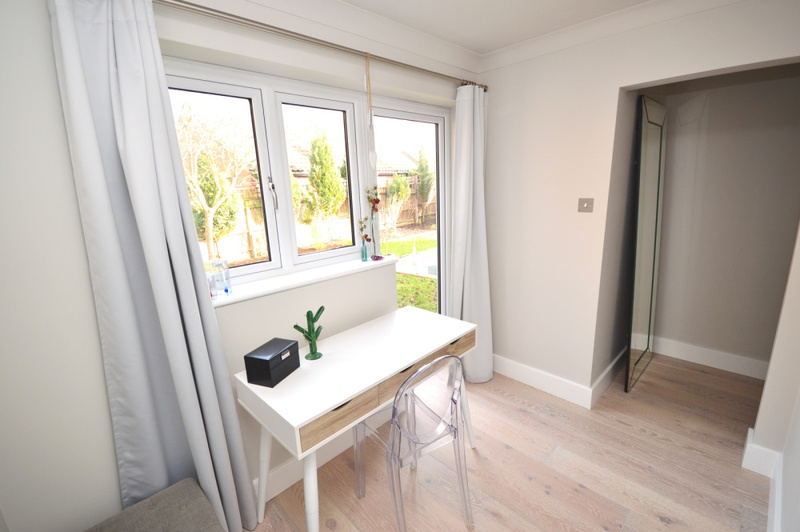 •Flexible accommodation with living, dining and kitchen spaces. •Double glazing and gas central heating. 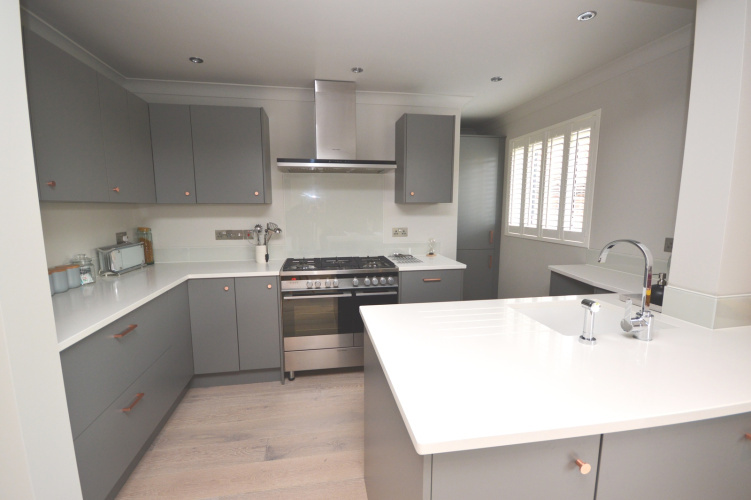 •High specification modern style kitchen with granite work surfaces and quality integrated appliances. 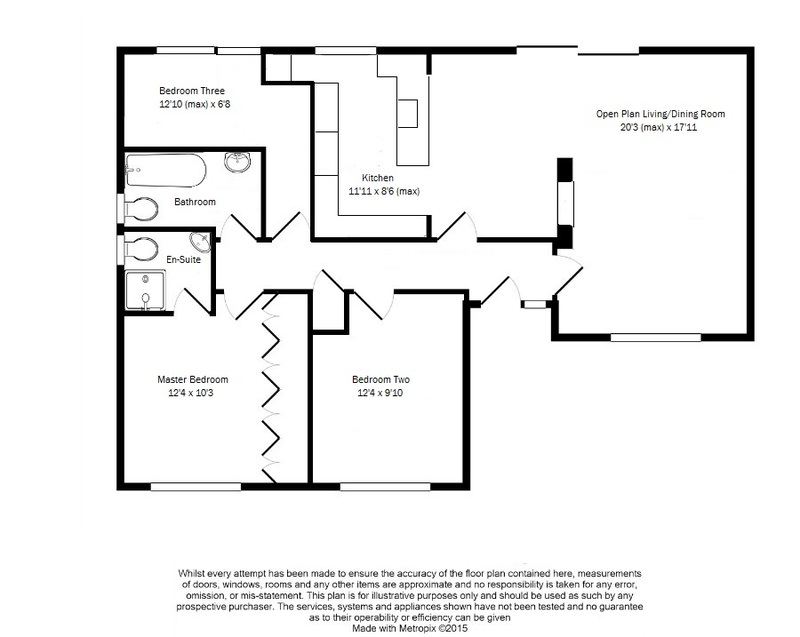 •Three bedrooms including master bedroom with en-suite wet room. 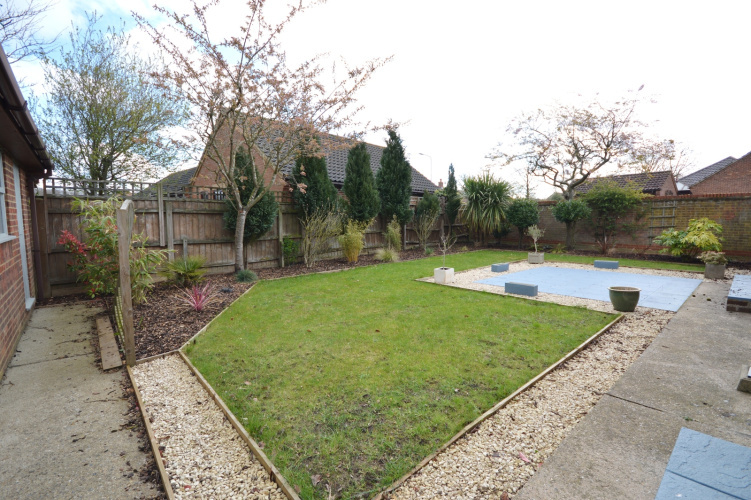 •Beautifully landscaped gardens to front and rear creating a 'personal sanctuary'. •Detached garage and extensive off road parking. ACCOMMODATION Door to front aspect with full length frosted glass side panel, thermostat, engineered oak flooring. 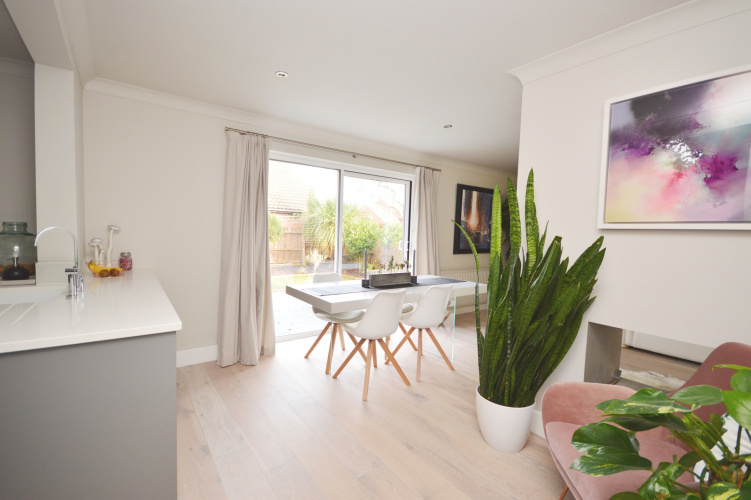 OPEN PLAN LIVING/DINING ROOM Multi aspect room with large window to front and patio doors leading to rear garden, tiled feature open fireplace housing a contemporary ribbon flame bio ethanol fire, TV point, telephone point, two radiators, engineered oak flooring. KITCHEN Window to rear aspect, newly fitted kitchen with granite work surfaces and a range of contemporary base and wall units, glass splash back, Franke sink and drainer with mixer tap over, Fisher Paykel electric range double oven with five ring gas hob and large extractor over, built in tall standing fridge freezer and washing machine, engineered oak flooring. 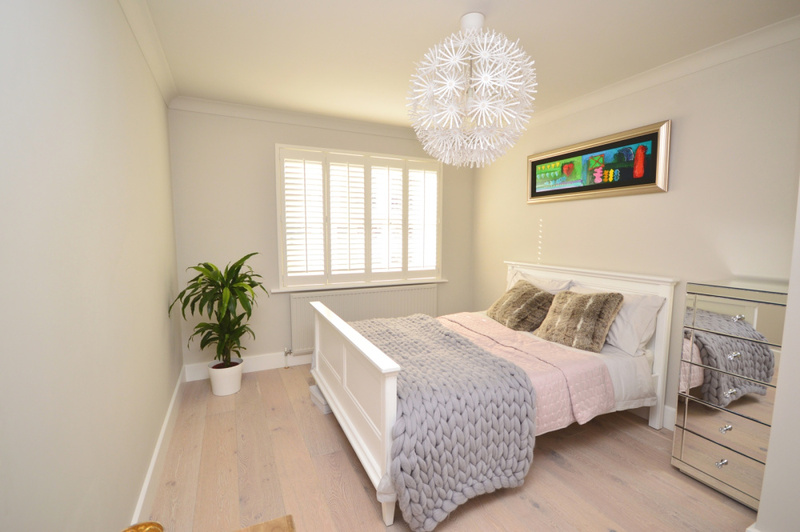 MASTER BEDROOM Large window to front aspect, full length built in wardrobes each with hanging rails and shelves, TV point, radiator, engineered oak flooring. EN SUITE WET ROOM Fully tiled with obscure window to side aspect, newly fitted contemporary suite comprising low level WC, stone resin hand wash basin with mixer tap over, walk in shower with large stainless steel rain shower head and small hand held shower attachment, glass screen, stainless steel heated towel rail, extractor fan. BEDROOM TWO Double bedroom with large window to front aspect, TV point, radiator, engineered oak flooring. BEDROOM THREE/STUDY Large full length window overlooking rear garden, radiator, engineered oak flooring. 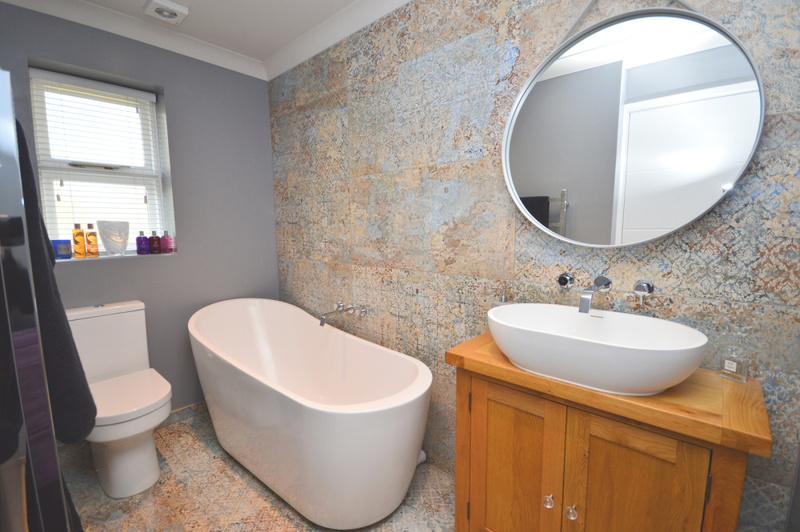 FAMILY BATHROOM Partly tiled room, obscure window to side aspect, newly fitted suite comprising low level WC, stone resin hand wash basin mounted on a solid oak unit with mixer tap over, free standing slipper bath, stainless steel towel rail, extractor fan. OUTSIDE To the front of the property is a generous landscaped garden with a pathway leading to side. 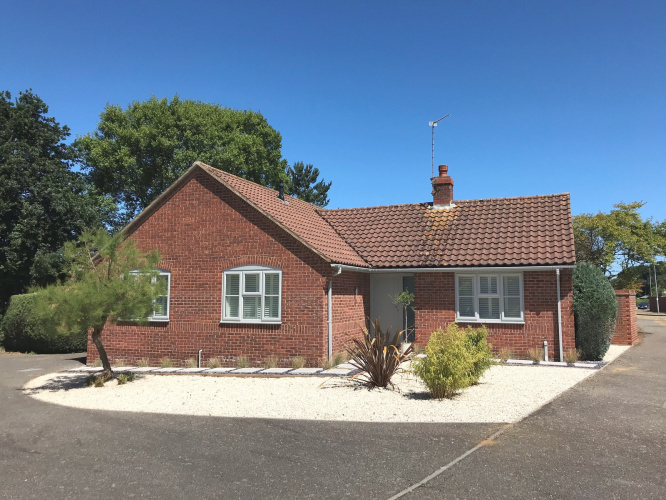 To the side of the property there is extensive off road parking and a detached garage with power, light and a door leading into the rear garden. The fully enclosed rear garden is mainly laid to lawn and includes a pretty patio area. The borders are well stocked with a variety of mature plants and shrubs. GENERAL REMARKS & STIPULATIONS Intending purchasers will be asked to produce original Identity Documentation and Proof of Address before solicitors are instructed. AGENTS NOTE One of the owners of this property works for the selling agent.